Dates/Times: 7pm-12am Fri-Sat, 7pm-10pm Weds-Thurs-Sun. Running through November 2nd. Recommendation: Worth the Price, Visit if your in the area. 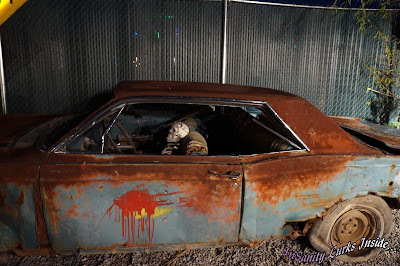 We were invited to visit Rich's Fright Farm as Media. 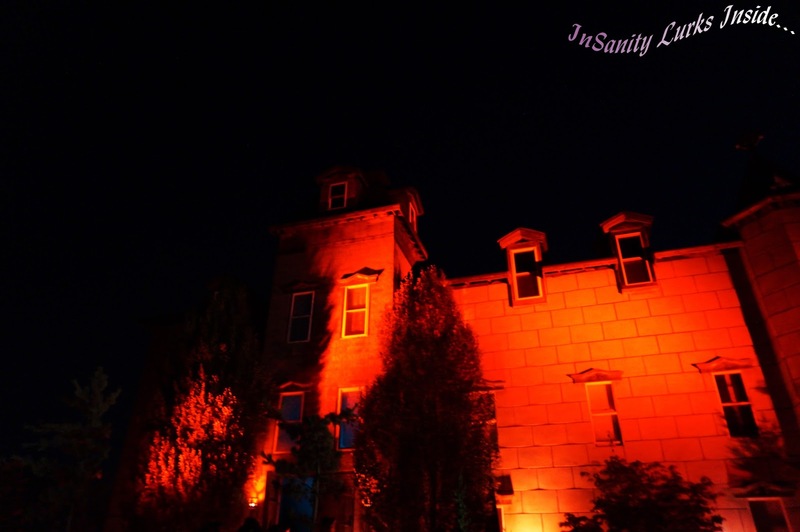 This has not swayed our opinion nor does it alter our views on haunted attractions. 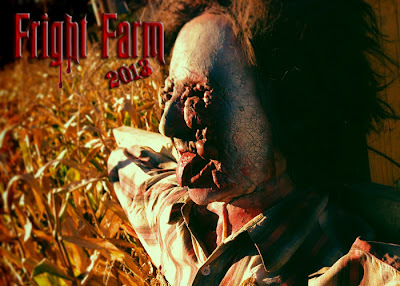 For their 24th year Rich's Fright Farm gives you a good show. Each year their show changes, altering massively and giving you a new show with new scares. It's been several years since we last visited and everything had changed, which was a pleasure to see since always seeing the 'same show' gets boring after a while! Thankfully, this isn't a concern with this haunt but be warned it takes a good bit of time to get through and even more on a busy night! Overall, we found their haunts a good time and a good value. 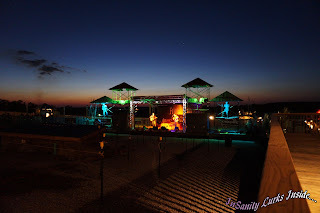 Since our last visit we found some large improvements to this haunted attraction including a new stage area with live music and an enlarged 'VIP Tent City' area, which you can rent for the night of your visit (it's a little pricy but nice). For the main event they offer three separate haunted houses- The Hayride, The Haunted Mansion and The Maze. Each has it's own unique theme and have clear barriers so you know your entering a new area. Exactly as it sounds, you board a side-less hay wagon. You'll find yourself on a ride through the farm on a twisted, confusing route. 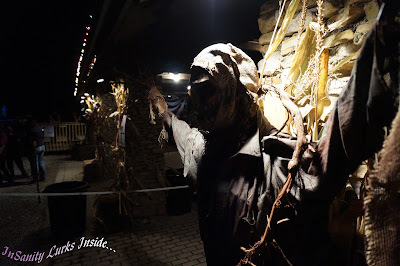 Encountering different themed areas along the way and even a few surprises hidden inside the barns! In an effort to keep most of the ride a surprise, I won't be telling you anything about the scares involved. You'll run into a wild cast of characters including pumpkin people, witches, scarecrows, hicks, lunatics and slaughterhouse type folks. Although I admit, I believe the hayride could use more actors. It seemed to have several long 'dead zones' with no scares or actors involved. While these are normally a good idea, the ones we saw just seemed drawn out. Other than this, we rather enjoyed everything we saw. The hay wagon drops you off right at the front door of your very next attraction. 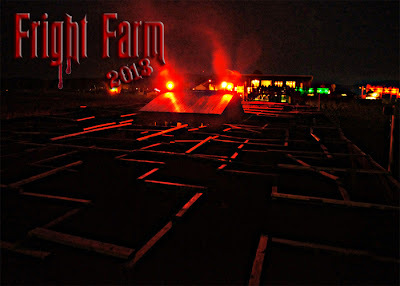 One of the nice parts about visiting Rich's Fright Farm is that each year their haunts change completely. The Haunted Mansion is no exception. However, be warned: They have stairs, moving/tilting floors and strobe lights. This year it hosts a Victorian Theme through the first and most of the second floors. You'll venture through parlors, servants quarters and basement areas before you're dropped back outside. You find yourself in a graveyard and swamp area, the themeing out here is great and so are the actors. It's one of my favorite parts of this attraction, following the turning pathways all around the area. Make sure you keep your eyes open, surprises are everyplace out here! After this, your back inside and heading upstairs. More craved Victorian folks and great themes, you even go through a balcony area. 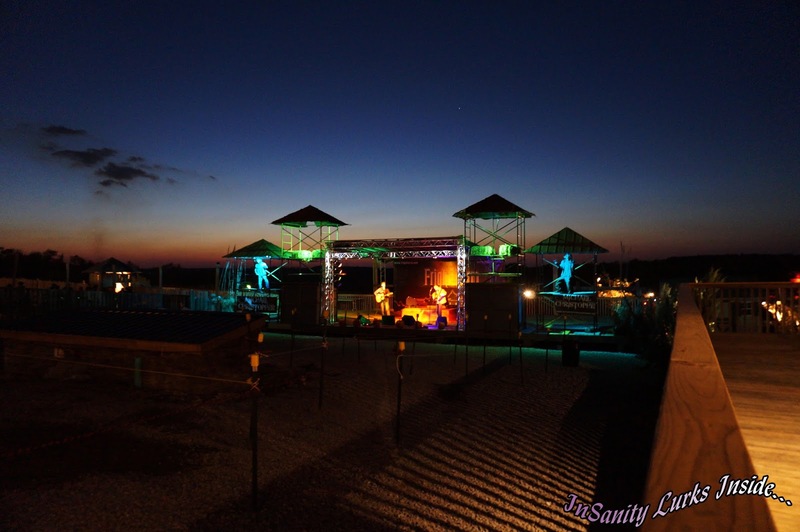 Again, I can't say much more without giving things away so your going to have to visit and check it out. From here things get weird. Your handed a pair of 3D glasses and.. you guessed it... clowns. At least Rich's doesn't bombard you with a ton of actors dressed like clowns, it's simply 3D paint and effects. While it's well known I'm not a huge fan of either of these things, this one wasn't bad. As I didn't find annoying people with horns and shakers trying to jump out at me. Overall I only have one minor complaint about this haunt, the 3D/Clown thing doesn't fit. It just doesn't flow with the feeling of the haunt, the transition from Victorian to Clowns and back to Victorian feels weird to me. It's not bad, just odd. The Terror Maze has been enlarged for the 2013 season and it's pretty crazy inside as well. Your going to run into a nutty cast of actors and lots of dead ends. Chain Link Fences, Plywood Fences, Strobe Lights and Actors. Plenty of confusion and scares are lurking inside. Perhaps even a few things that will surprise you but expect to backtrack a lot. It gets rather confusing inside and you can easily end up turned around since they have multiple ways you can choose to go. I really can't say anything more without giving away all the goods so your just going to have to trust me when I say this was my favorite of the three attractions offered at Rich's. 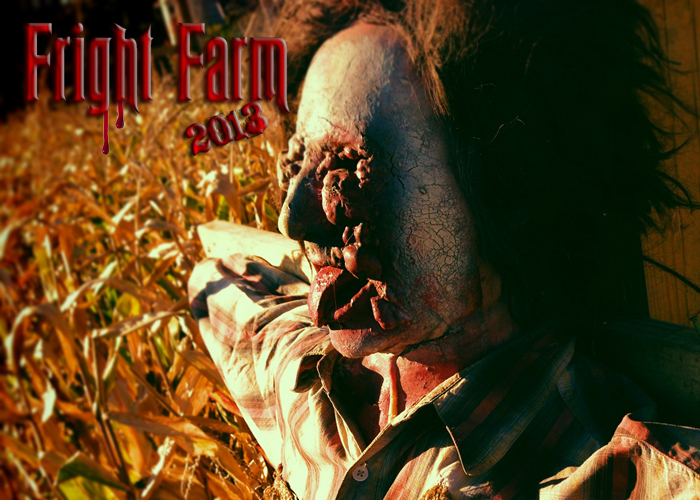 Rich's Fright Farm is a good time if you're looking for scares. You're going to find a lot of surprise's, good actors and some great themeing. You're not going to get the same show twice since this haunt has been known to change things daily if the mood strikes them! My only real complaint is that they need some more actors in certain places. Well, also the clown thing. It just doesn't seem to fit where it's located. Although I think others may not notice this as much as I do, so many years in the haunt industry has made me rather jaded. Also a word of warning- Porta Potties. If your in the area, check this haunt out. It's worth your time! Their open a wide range of dates and times, rain or shine. Although since the majority of this haunt is outside, make sure your dressed for that nights weather. It gets rather chilly out in those mountains at night. This can have long times so the VIP pass may be a valid option if your pressed for time. Remember: You can follow all our adventures from various social media networks!